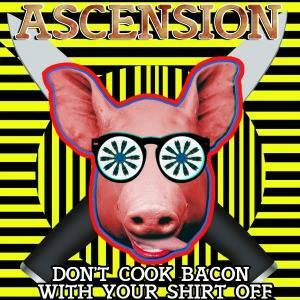 SpaceCamp Psyfari Records presents Don’t Cook Bacon With Your Shirt Off, the newest release by Ascension, presently based in Colorado. As a core member of The Chilluminati and SpaceCamp Psyfari, Ascension has been an influential part of the midwest psytrance scene for years. His goal for creating music is to capture the emotions he experiences during everyday life, as well as the amazing places and people he has had the privilege to connect with. In his own words: “I feel that music reaches its purest form when you are using it as a translator for your unique vantage point on life. Every one of us sees the world differently, and I want to share my experiences through this sonic medium.” Tracks 1 and 3 feature live Cello by Jennifer Kaercher. Mastering by Upavas. Artwork by Bobby Ba$$. MP3 Download | FLAC Download | WAV Download · Download count: 5,102. Thanks for the post Alex, glad to contribute music to the site! There will be more (better stuff) to come in the future! !